Software as a service company e4 has been nominated for an African FinTech Award. Featured in the innovative banking category, e4 is being recognised for its disruptive banking solution, Virtual Identity, which digitally enables the FICA process for accountable institutions. 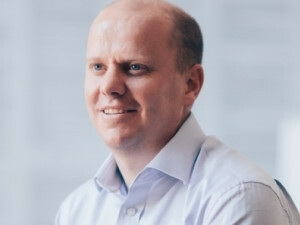 Chief operations officer Simon Slater says the acknowledgement comes at a time when disruption is not only key, but critical to business success and survival: "In the rapidly evolving digital age, innovative financial services are critical to the development and growth of the financial service industry." Slater says e4 is proud of its locally developed fintech solution, Virtual Identity's, nomination: "It takes the pain out of the FICA process for clients and institutions, and takes what could be hours of administration down to a few minutes for completion. The best is it is all virtual and the client can complete the FICA process from home if they choose too." Virtual Identity is accessible over the Web or through an app (Android and iOS) and enables a client to interact with an institution over a video conferencing link, facilitating a face-to-face discussion. Clients can supply evidence of identity and proof of address by taking photos of the original documents and submitting them to the agent for review and approval. Institutions obtain all required documentation and have full audit records of the process and they can fulfil all their obligations without a physical meeting. To vote for e4 in the innovative banking category, visit FinTech Africa. Find out more about the African FinTech Awards & Conference, 12 and 13 October, at the Sandton Convention Centre, Johannesburg. The African FinTech Awards is part of the Finance Indaba, the largest finance event on the continent. e4 is an innovative specialist provider of electronic technology solutions and services. Providing customers with custom-built software solutions and services, e4 focuses on ensuring business processes are streamlined, electronic and strategic in its approach. The end-to-end service offering includes full management support throughout the service life cycle and is supported by a 24-hour availability policy. The introduction of Convergence Partners and Stockdale Street as new investors in April 2016 has enabled the e4 Group to accelerate growth through new product and services development, and further expanded its geographic footprint. Convergence Partners is an investment management firm focused on the technology, media and telecommunications (TMT) sector in Africa. It has a proven track record of developing new investment opportunities as well as adding value to investments across the entire life cycle of ICT assets. Stockdale Street manages the Oppenheimer family's South African private equity interests invests alongside strong management teams in established companies that have sustainable competitive advantages and favourable growth prospects. e4 and its subsidiaries employs over 400 staff at offices in Johannesburg, Durban, Pretoria, Cape Town and Namibia with satellite offices in PE, Bloemfontein, East London and Mpumalanga.